There are very few reasons to take supplements, but getting enough of this vitamin may be one of the most important. Vitamin B12 may not be high on your nutritional radar, yet it is essential to some of the body's most important functions, like forming red blood cells and maintaining nerve function. 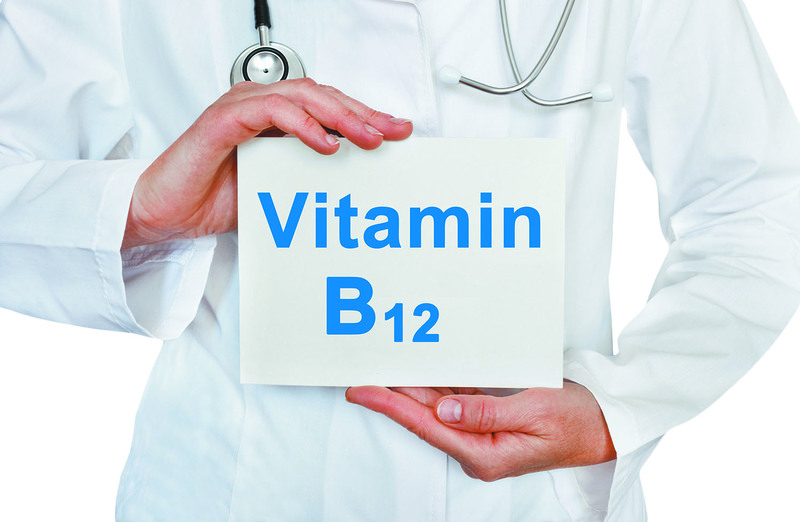 Doctors don't routinely test for vitamin B12 levels, so vitamin B12 deficiency can go unnoticed. But over time, such deficiency may cause anemia, nerve damage, and even problems with memory and reasoning. However, it's easy to avoid vitamin B12 deficiency, according to Stacey Nelson, manager of clinical outpatient nutrition at Harvard-affiliated Massachusetts General Hospital. "What's important is to recognize if you're at risk and take measures to avoid developing a deficiency," Nelson says. Vitamin B12 is a water-soluble vitamin that is naturally found in animal products. Some fortified foods, dietary supplements, and medications contain a synthetic version of vitamin B12. When you eat meat, fish, eggs, or dairy products, vitamin B12 is released from protein by hydrochloric acid and enzymes in the stomach; synthetic vitamin B12 is already in this released (free) form. Free vitamin B12 then combines with intrinsic factor — a substance secreted by the stomach cells—which enables it to be absorbed from the small intestine. You're age 50 or older. With age, your stomach cells become less efficient and secrete less hydrochloric acid, which means you absorb less B12. You have altered gastrointestinal function. People who have gastrointestinal disorders like celiac disease or Crohn's disease or who have undergone weight-loss surgery may secrete too little hydrochloric acid or -intrinsic factor. You're a strict vegan. If you've given up all animal products, you should consider using fortified cereals or nutritional yeasts or taking a vitamin B12 supplement. It's especially important that pregnant vegan women who are planning to breastfeed exclusively talk to their medical team about getting adequate vitamin B12 for both themselves and their infants. Babies who don't get any vitamin B12 can develop a deficiency and may sustain permanent neurological damage. You take certain medications. Two types of medications for ulcers and gastric reflux — proton-pump inhibitors, such as omeprazole (Prilosec) and lansoprazole (Prevacid), and H2 blockers like cimetidine (Tagamet), famotidine (Pepcid), and ranitidine (Zantac) — inhibit the release of stomach acid necessary to free dietary vitamin B12. There is some evidence that the diabetes drug metformin (Glucophage) may reduce vitamin B12 absorption when used for several years. You have pernicious anemia. This autoimmune condition affects the stomach's ability to produce intrinsic factor, so you can't absorb vitamin B12 through your digestive system. A vitamin B12 deficiency may go undiagnosed because many of the symptoms — fatigue, weakness, constipation, loss of appetite, and weight loss — mirror those of minor illnesses or chronic conditions, Nelson explains. Other symptoms of B12 deficiency, such as numbness and tingling in the hands and feet, are also common in people with diabetes and spinal stenosis. If you have some of those symptoms — especially if you have a low red blood cell count — you should talk to your doctor about further blood tests for vitamin B12. Supplements. Even the lowest doses in B12 supplements are many times the recommended dietary allowance. Doses up to 1,000 mcg, though unnecessary, probably aren't harmful. Fortified foods. Many breakfast cereals, soy products, and yeasts are fortified with B12. Fortified toothpaste. Sante toothpaste delivers vitamin B12 to the bloodstream through the mucous membranes lining the mouth. Injections. If you have had weight-reduction surgery or have pernicious anemia, celiac disease, or Crohn's disease, B12 injections may be recommended.